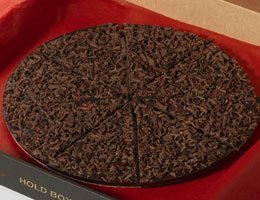 If you’re looking for the perfect Father’s Day gift idea this year, then you’re in the right place. 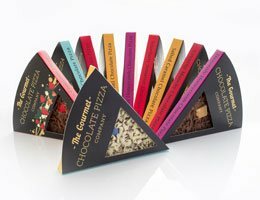 Here, at the Gourmet Chocolate Pizza Company we’re pleased to stock a wide range of unique presents for dads that we're sure they'll love. 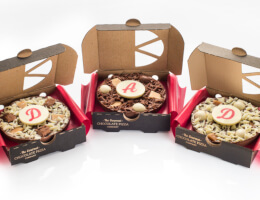 From our signature gourmet chocolate pizzas to our gift hampers there’s something for every dad, and every budget. 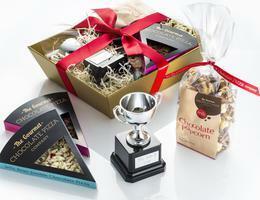 For last order dates in time for Father's Day please click here. 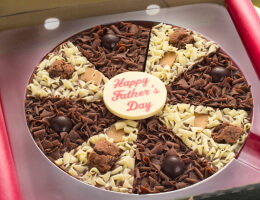 Say thank you for being a late-night taxi driver, tinkering with your car, for all his support and love, and everything in between with a gift from the Gourmet Chocolate Pizza Company this Father’s Day. 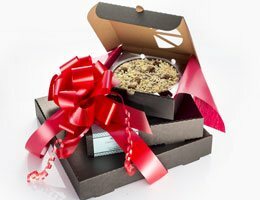 Our presents are unique and are sure to put a smile on his face. 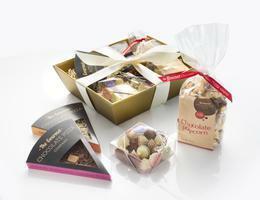 Our gourmet chocolate hampers are packed to the brim with delicious sweet treats. 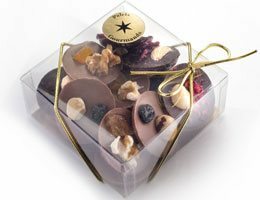 Our You’re a Star hamper is perfect for showing dad how much you care. 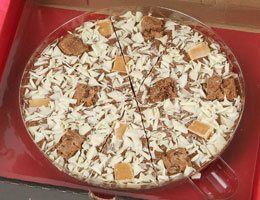 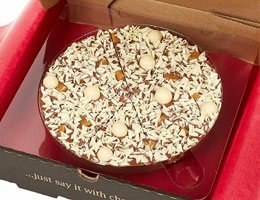 With a Heavenly Honeycomb and Jelly Bean Jumble chocolate pizza slice, chocolate popcorn, and an engraved trophy for him to keep long after the sweet treats have gone. 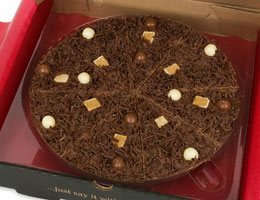 Alternatively, why not gift one of our chocolate pizzas? 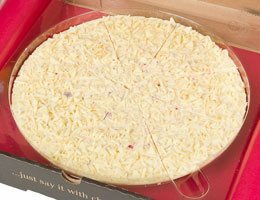 We’ve got plenty of delicious flavours and toppings to choose from, but our Football pizza is a firm favourite with dads. 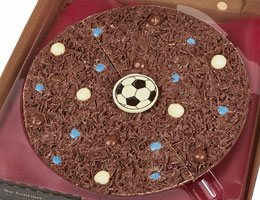 Featuring a Belgian milk chocolate base, topped with milk chocolate curls, a handmade white chocolate plaque with football design, and coloured rainbow drops to tie in with his favourite team's colours; simply delicious. 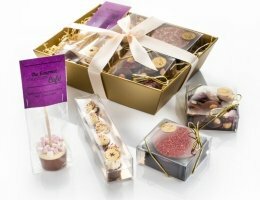 All of our gourmet gifts are handmade by our wonderful team of skilled chocolatiers who take the utmost care and attention at every stage of the process. 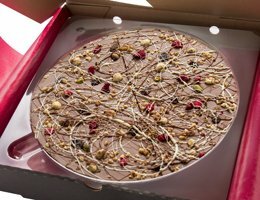 So treat him to something different this year with a gift from The Gourmet Chocolate Pizza Company. 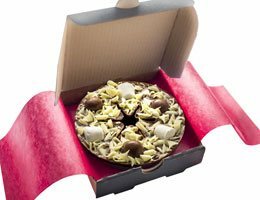 Order online and have it delivered through the post or by courier, direct to the door. 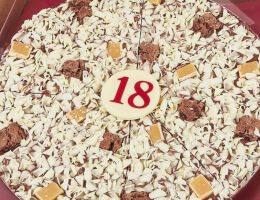 Still can't decide? 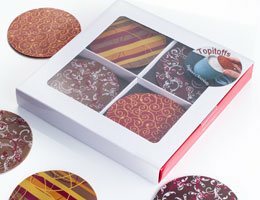 Click to read our Ultimate Father's Day Gift Guide on The Gourmet Chocolate Kitchen Blog.